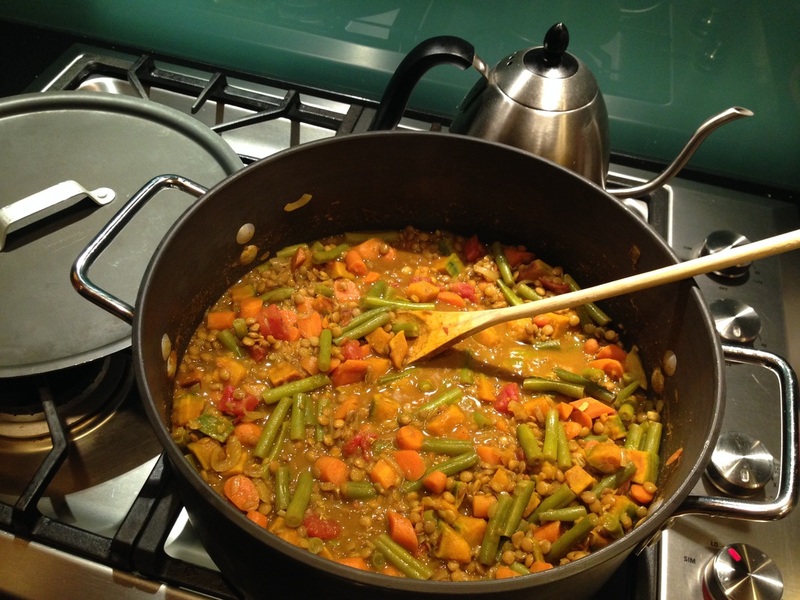 This recipe is grain free and vegan (if using vegetable broth instead of chicken). Add carrots, onion, oil, garlic, curry, cumin, garam masala, turmeric and cayenne pepper to a large stock pot. Simmer over medium/low heat until fragrant and onions are translucent. Add green beans, tomatoes, broth and lentils. Bring to a boil then reduce to a very light simmer. Cover and cook for about 45 minutes or until the lentils are tender. Meanwhile. Spread your kabocha squash out on a baking sheet. Bake for 15 minutes in a 400 degree oven or until tender and beginning to brown. Add squash and coconut milk to the stock pot and simmer for another 20 minutes.